Our IBIZ Districts know how to have a good time. So look for events and parties all year round to make your shopping experience a great one! Join us throughout the year for events in one district or all! Watch our Facebook page and this site for the latest on each event. 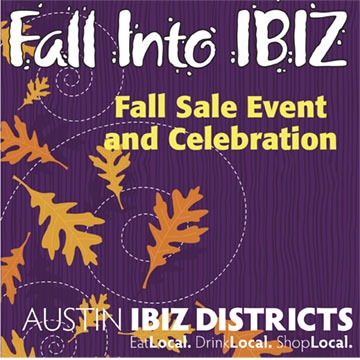 Fall Into IBIZ is a celebration of the end of summer and the beginning of cooler weather. This is an all-district event with sales, specials and events in September. Holiday Shop Hop takes all the holiday festivities and concentrates them in the IBIZ Districts. 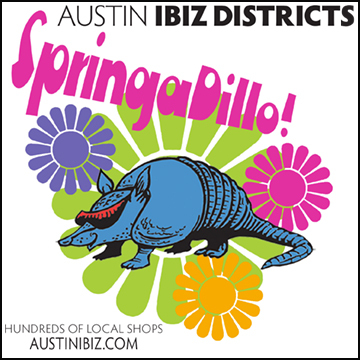 Springadillo captures the excitement of spring with festivities in every district. Look for Sprinadillo in the spring of course! 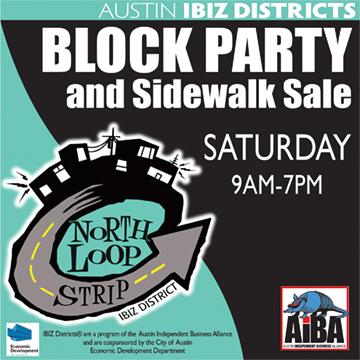 North Loop Block Party has been celebrated for more than a decade and is hugely popular with sidewalk sales, music, food and more.